The interface of the app is user friendly and to the point. I wouldn't say that there is much that I do not like. Was able to connect employess from around the world at one time. An affordable, attractive, and capable service. Users will love the ability to use it across all operating systems. Video recording. Screen sharing. Remote desktop controls. No multi-language support. No operator-assisted meetings. No whiteboarding tool. Onboarding system is a bit clunky, and varies depending on which device you're using and how you first access the platform. Amazon Chime is an app in progress. It has the potential to someday compete with the top-ranking video conferencing services in the class. However, it's not ready for the major leagues just yet. "Manage a team of 7 agents using this CRM platform"
Great selection of features and integration with our personal IDX Website. Relatively inexpensive CRM with all the features of a high cost platform. It's not got a bank agreement tied to it so you don't have to worry about extra fees. I haven't found anything wrong with the card or system. It privatised my information to make exchanges more secure. 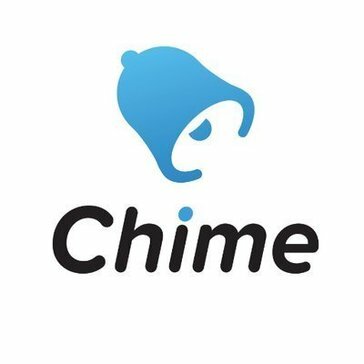 * We monitor all chime reviews to prevent fraudulent reviews and keep review quality high. We do not post reviews by company employees or direct competitors. Validated reviews require the user to submit a screenshot of the product containing their user ID, in order to verify a user is an actual user of the product. Hi there! Are you looking to implement a solution like chime?